Summary Recommendations: A blood thinner is also known as an anticoagulant. Heparin is most often prescribed to prevent blood clots or miscarriages, and is usually given as a subcutaneous injection. General Precautions: Heparin is considered safe for use during pregnancy, mostly because it does not cross the placenta and thus does not reach the baby. Heparin preserved with benzyl alcoholshould not be given in pregnancy or for pediatric patients. Heparin is prescribed for conditions that can be life-threatening, such as the prevention of blood clots. It is important to not stop your treatment and continue it if you find out you’re pregnant. Stopping treatment could cause disease, complications and even death. 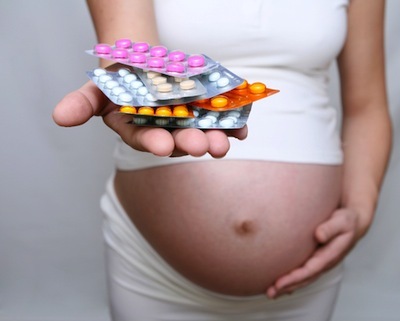 Contact your physician for a consultation about taking Heparin during pregnancy. Heparin is a blood thinner and thus could cause irregular bleeding during delivery. Your doctor will discuss the possible complications during labor and delivery with you as part of your prenatal care. Effect While Trying to Conceive: Heparin has been prescribed for some women with fertility problems. When taken with aspirin, Heparin may help a woman carry a fetus to term. Heparin therapy is typically prescribed by a fertility specialist or gynecologist familiar with your medical history of recurrent miscarriage. Effects on Pregnancy: Heparin does not cross the placental barrier. Studies have been completed on Heparin use during pregnancy. Early studies suggested Heparin, compared with other anticoagulants, offered no clear benefits over other drugs. However, later studies proved when other medical conditions were taken into consideration, Heparin was more effective. There were no increased risks of pregnancy complications or birth defects associated with Heparin use during pregnancy. Safe During Breastfeeding: Heparin does not pass to baby in milk, so there are no possible side effects associated with breastfeeding while taking Heparin. However, it is important to talk with your doctor about the fact that you’re breastfeeding before starting treatment.